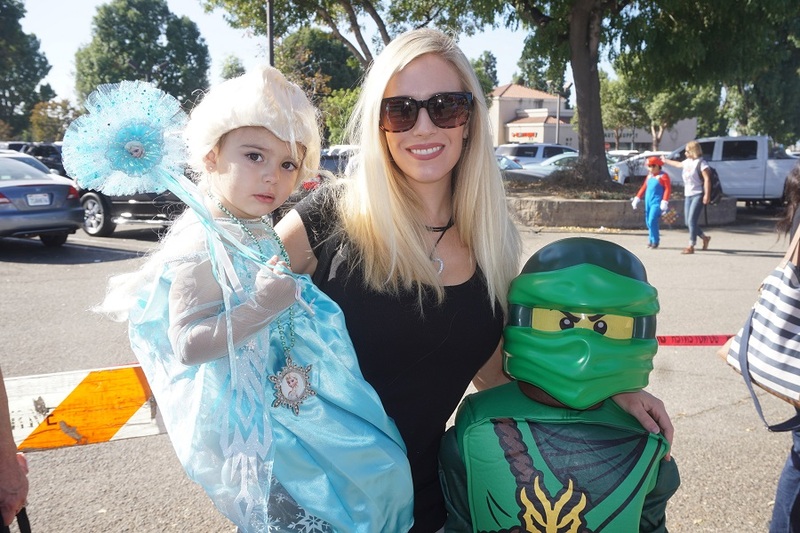 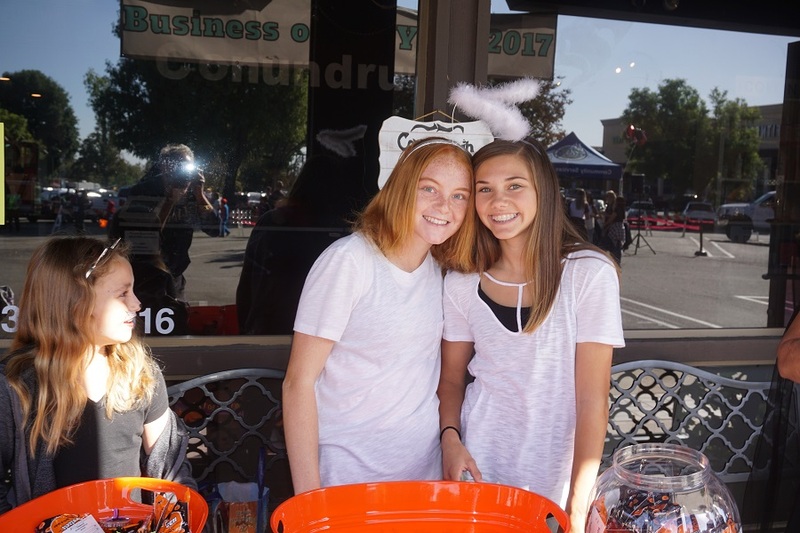 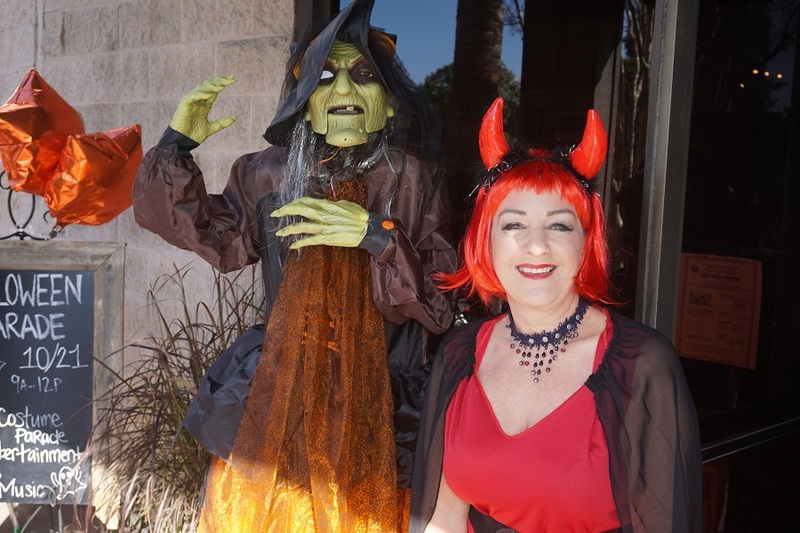 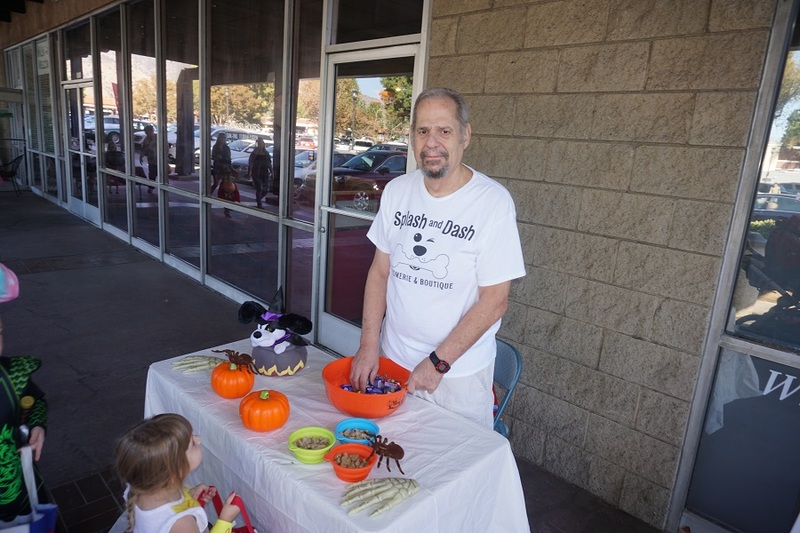 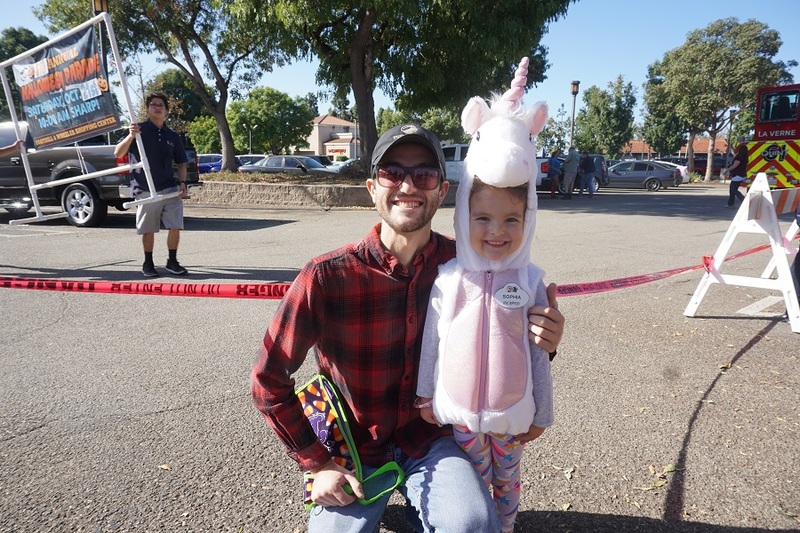 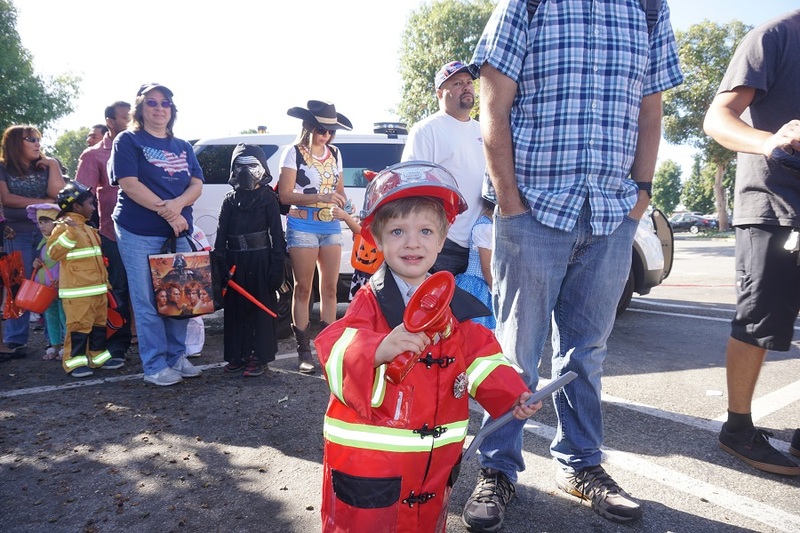 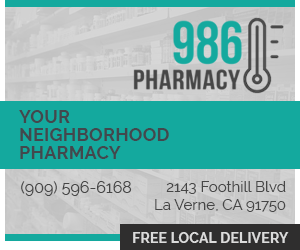 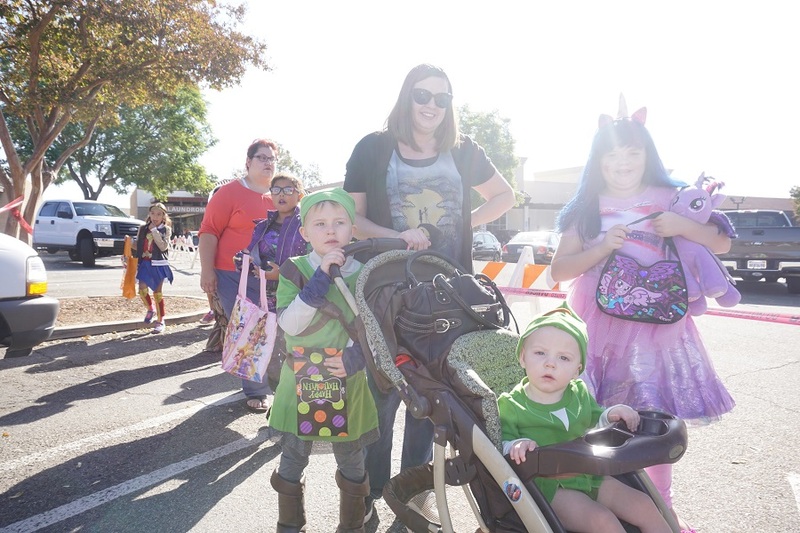 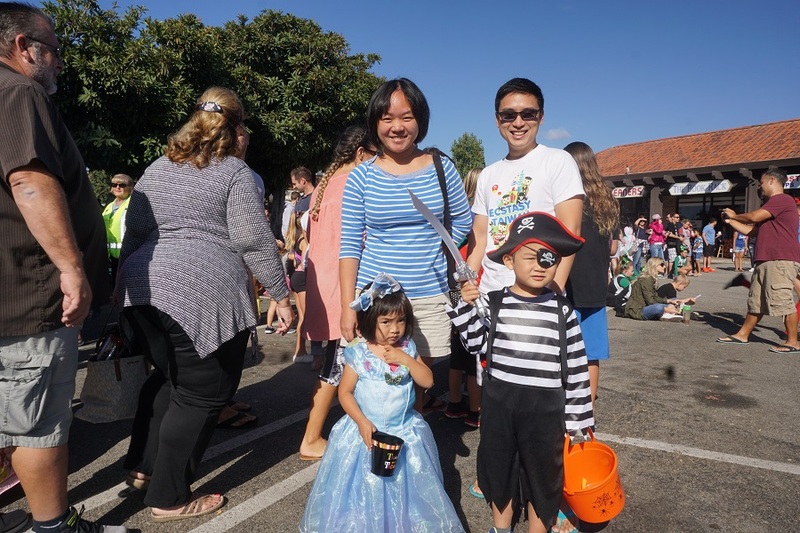 LA VERNE, California, October 21, 2017 — Merchants with shops in La Verne’s Heritage Plaza opened their doors and took to the sidewalks, passing out reams of candy in the first of many Halloween parades that will be celebrated in the city over the next 10 days. 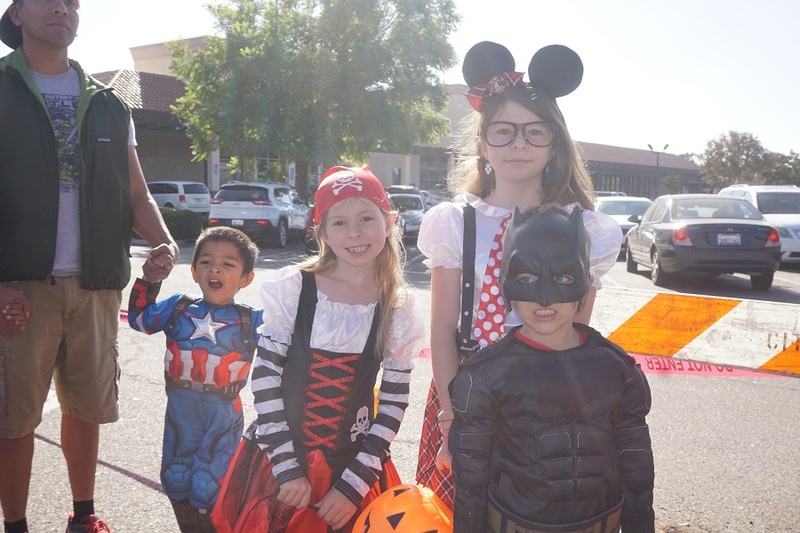 From Conundrum to the CVS pharmacy, kids waked the lengths of the L-shaped stripped mall, looking to laden their baskets with as much free candy as possible. 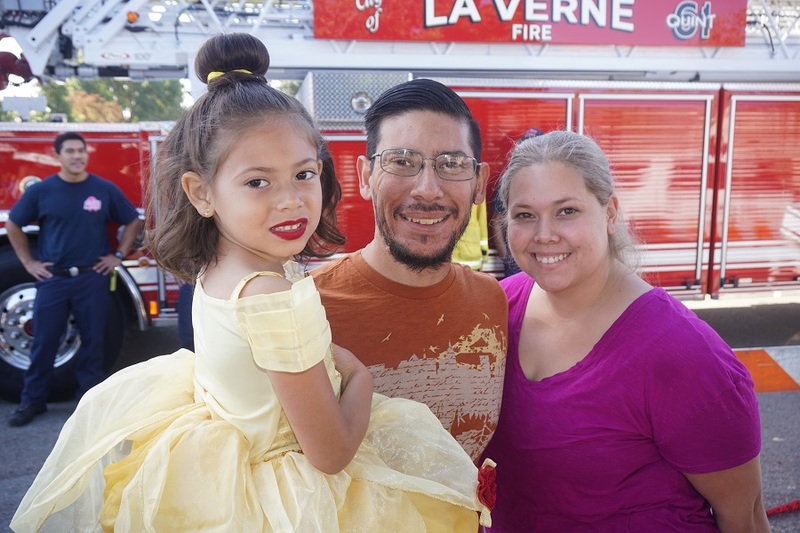 Before the walk started, La Verne’s community services hosted many dancing and cheer-leading acts to get the participants in a celebratory mood. 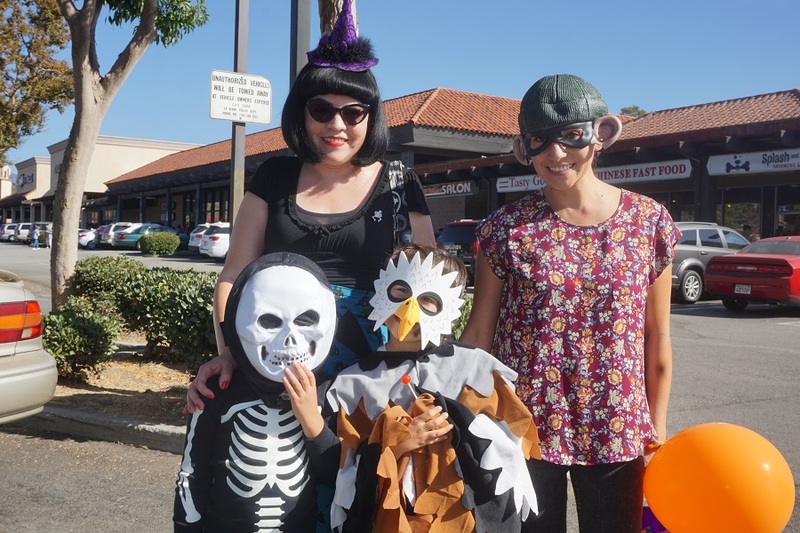 Oh, and kudos to all the parents and bigger kids for all of their creative costumes. 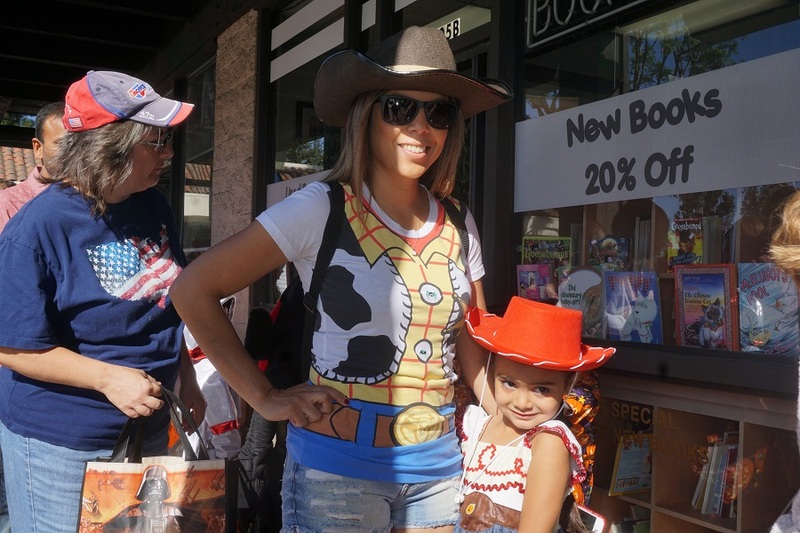 We were certainly impressed! 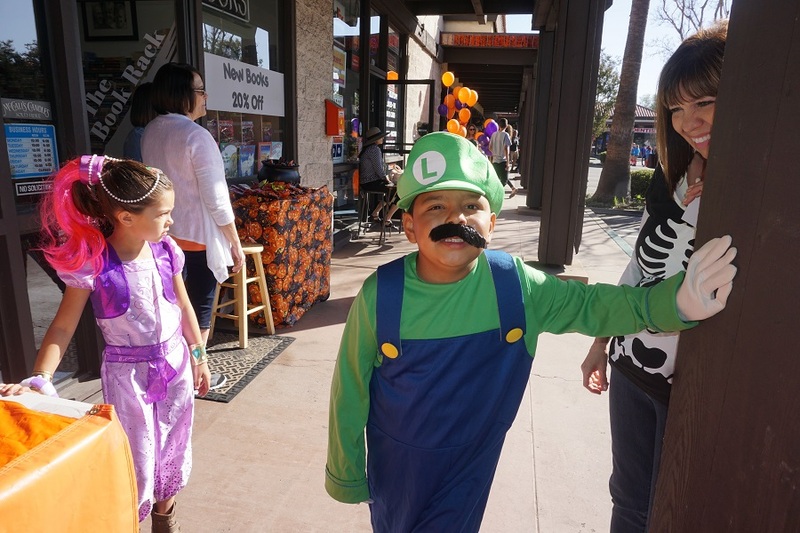 Owner of the new tennis shop in town greets a couple of trick or treaters.